"On Phi Phi, Dive with Island Divers!" A simple command but one I was destined to follow and one I was glad I did. From a very glamorous site right on the beach, Island Divers is the obvious location for one of Phi Phi Island's best dive schools. The Phi Phi islands, boasts that their blue waters has such an abundant marine life, it makes the islands one of the best diving holiday destinations of Thailand. The marine life, the idyllic beaches and coral reefs, the limestone cliffs soaring above the bays and the resort offer so much diversity of fun and entertainment that Phi Phi is marked as spectacularly rich in any divers dream location list. 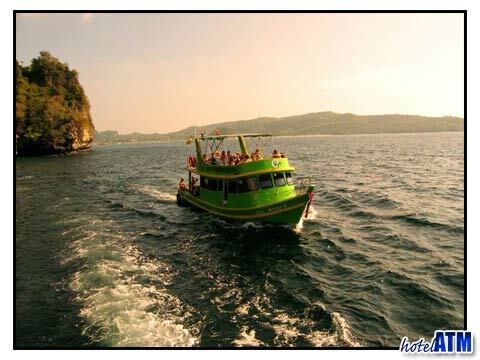 The islands are separate from Phuket and or Krabi, so you have to get on a boat or a seaplane to reach it. The Island Divers is a professional and established scuba diving center in the island in the main village near the Phi Phi Pier and Tonsai Bay. Phi Phi Island Divers offer different packages for different diving experiences. You can enroll and enjoy their diving courses both in SSI (Scuba Schools International) and PADI (Professional Association of Diving Instructors). All the dive masters in Island Divers are certified and professionals so you are sure, that you are in good hands. The divers are carefully selected by Owners, Managers and Master Instructors Jo and Kenny on the islands from the mid 1990's. I was going to be in Phi Phi for a good six months or more, as I was on a sabbatical. So, while here, I decided to try them out, since I had heard so much about them. Island Divers, offer daily diving trips for people like me, who wanted to experience the blue waters and the abundant marine ecology of Phi Phi. Their knowledge of the dive sites around Phi Phi island are considered some of the best and my personnel diving experience was brilliant. Whilst I was there, I signed up for the dive master internship program, where my diving skills were honed to the highest level. I had the break from work and so thought why not make the time useful. If the accounting work sends me truly insane I could get a job with a lifestyle I really feel passionate about. Through this dive master internship program I found out what it takes to become a certified and professional dive master. I took me 2 and half months but I had a ball. I could have done it in less time but I got into the Phi Phi lifestyle and so enjoyed hanging out with the guys I was diving with. With Island Divers being recognized around the world, my certified PADI divemaster accreditation will surely prove to be invaluable. The course led me to gain first hand experience with techniques to work safely and lead other divers. My instructors were awesome, and could speak in German, which worked out great for me, as German is my main language. The instructors at Island Divers have got a great sense of humor which is essential when you are working with the general public and the dive business where there is so much interaction between people and equipment. Not everybody sees it your own way and the ability to work with new groups taught me alot about people in general. The Island Divers and the PADI course make you a well rounded dive master. So don't forget; "On Phi Phi, Dive with Island Divers!" With Island Divers you do not only experience Phi Phi at its finest but you also get to enhance your diving skills or earn an additional profession alternative through the courses that they offer. It is not just about gearing up but is also about being with the right group that makes the diving experience a memorable one. So if you are planning to dive when you get to Phi Phi, make Island Divers your first option for maximum diving experience, incomparable to any other. You can reach them through their email for your bookings or you can go to their center once you reach the island which is just in between the entrance to the Chao Koh Phi Phi Lodge and Phi Phi Banyan Villa . 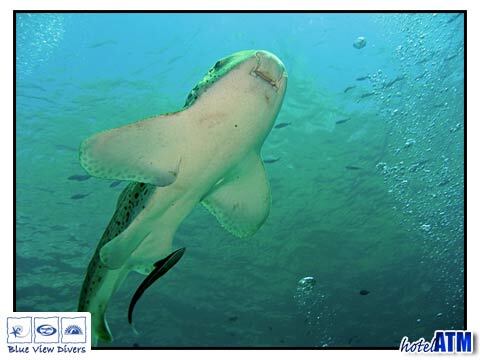 Images with kind permission from PPP island Divers.